Left one imagines reality. Because it is a meta architecture for information and IT reality consists of the organisation and its supporting information infrastructure. If we take the set of all organisations in the world, we will always be working for a subset: 1 organisation, a part of an organisation, parts of more organisations together etc. This is what we call the Universe of Discourse, the world we are talking about. This world has limits, and these same limits apply to its supporting information infrastructure. 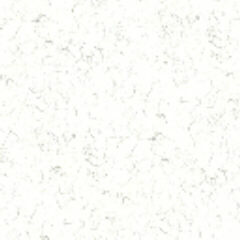 Part of this information infrastructure contains IT-solutions. These together are called the IT-infrastructure. There are many views on this reality (see the definition, click here). Comparable views need to be combined to form relevant architectures. The views of business specialists on the way the business works is called the business architecture. 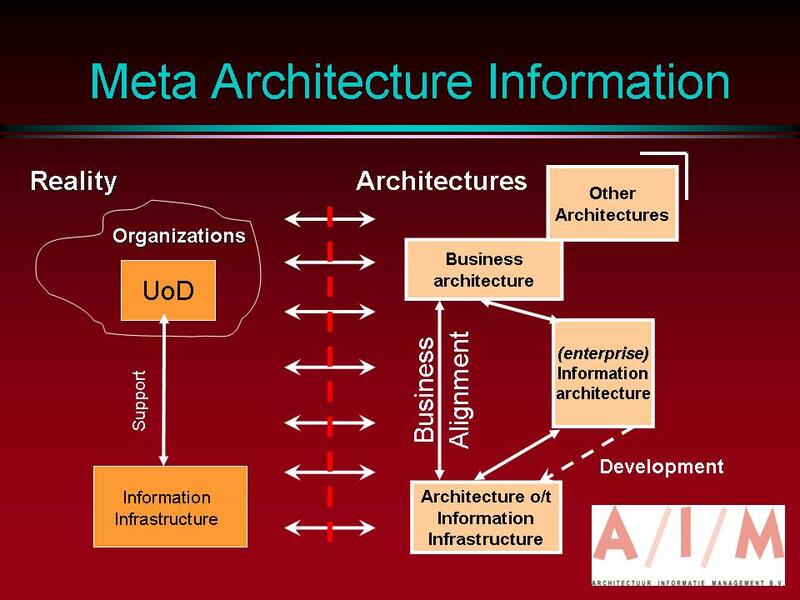 A number other architecture can be formed, but they are not really relevant for the information and IT professionals. The professionals on IT and other solutions must share their views into an Architecture of the Information Infrastructure. This architecture contains the IT architecture (technical IT infrastructure: hardware, network and systemsoftware) and the Enterprise Architecture (applications/service, data and the alignment to the business). The support the information infrastructure gives the organisation can be seen as the business alignment between architectures (exploitation). The information architecture is the shared view on the need for information of the organisation as a corporate resource. The content of this view contains the demand and can be formulated as specifications for the supply of solutions, IT or non-IT. Creating a following solution is called development. It is the process that realises the investments in these kinds of solutions for the organisation. This is all. In practice all kinds of details are added, but in 15 odd years there have been no concepts and notions that made it necessary to change this picture. ***A/I/M bv is able to help you develop and manage your information as a corporate resource. Want more information?